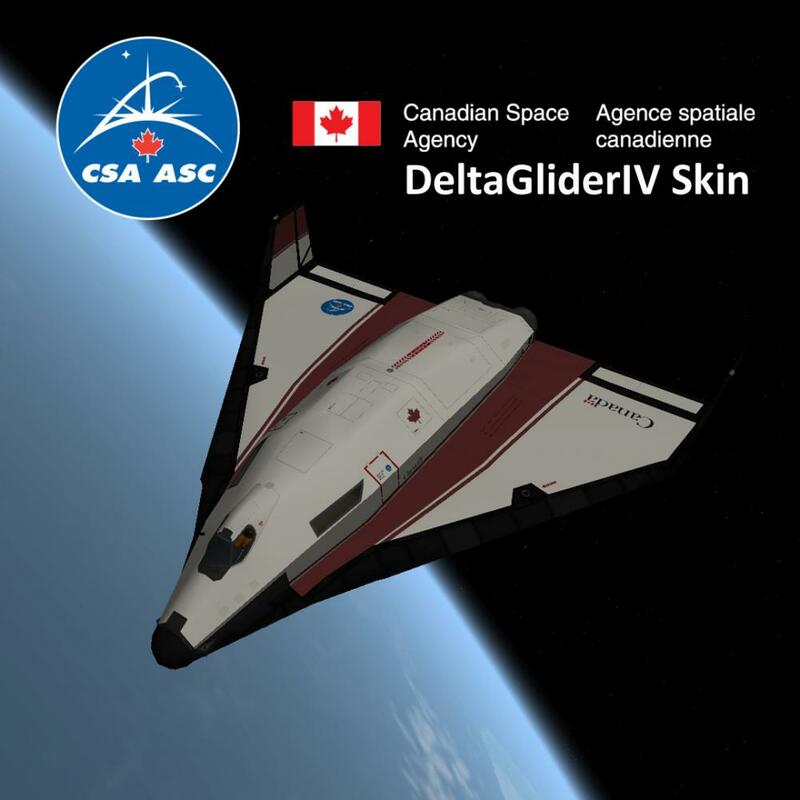 I am Canadian, and since I installed the DeltaGliderIV for the first time some years ago, I always wanted to have a good Canadian Space Agency Skin. I loved "CSA Paint For DGIV" made by alexw95 in the past but in recents days, I decided to search for a more "professional" looking livery for the DeltaGliderIV and, unless I am blind, it does not exist. So, I decided to do my own, and there is my work here ! I took inspiration from the now famous ESA 2 skin (even if it is not looking like it) and I made this one. I used the Spike HD template. Installation is simple : put the "texture2" folder inside your Orbiter directory and enjoy !